Blord, fabulous thread as always! Rep points to you if the system allows! Can I ask you what 450nm, single mode diode you used? I hoped I'd get a tight dot out of the PLTB450, but not so much. It is the Osram PL450 diode. A cousin of the PL520 diode. Osram makes very nice diodes in the niche. @Shakenawake: Use a tripod for the photocamera. It prevents camera shaking and allows more time to capture the light. wow, really awesome pics, i like the light color. These truly are superb comparisons. great sticky. it not only shows the 405, 450, and 473 comparison, but the 520 and 532 as well. Avery pinned it, they really are some of the best I've seen. These are some great shots! How did you get the beams so bright in the picture? 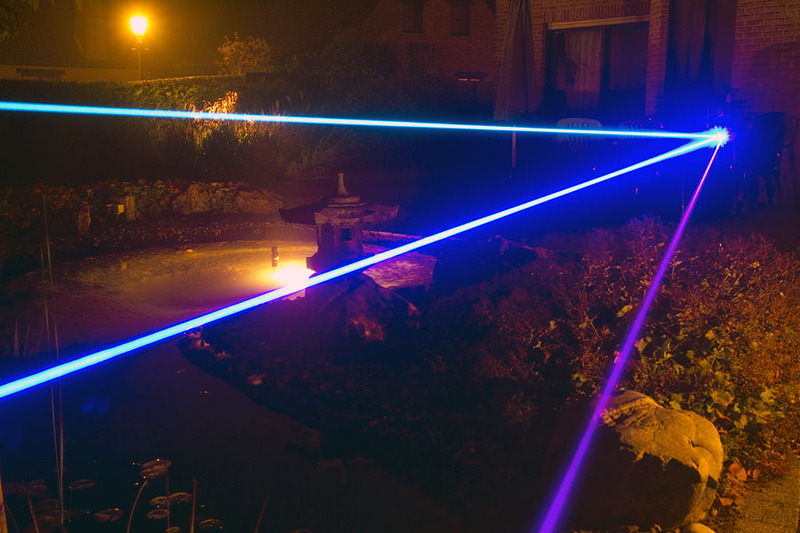 It was misty and the laserbeam was very visible that night. Also long exposure on the camera do the rest. Very nice shots, hoping to take something like this soon. 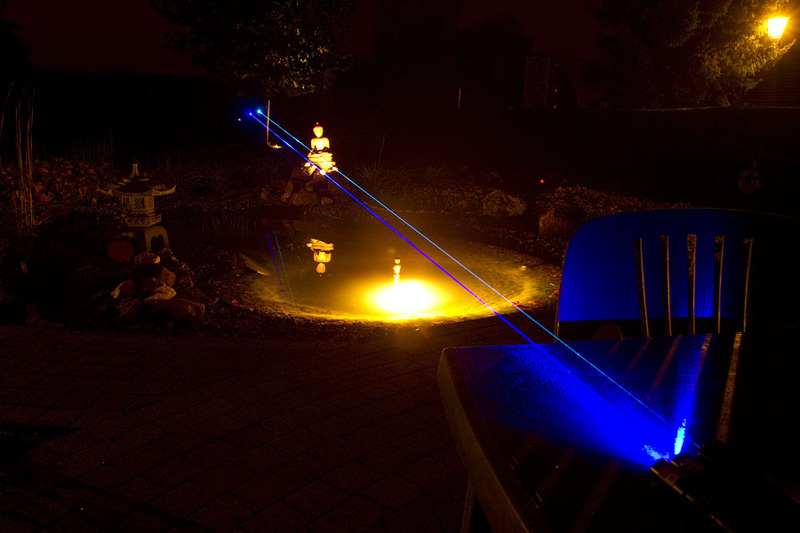 My garden was misty tonight and I haven't taken beam shots a long time. A good opportunity to make some pictures. 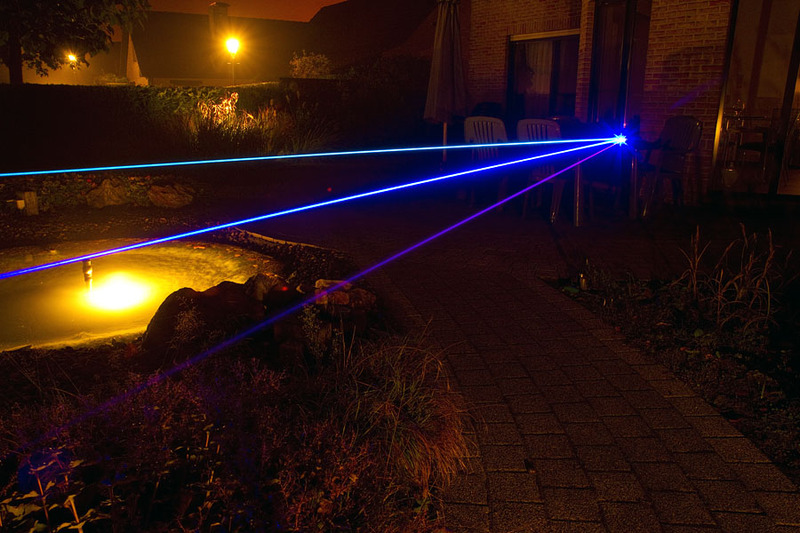 I took three lasers outside : 400mW 405nm , 250mW 450nm single mode and the 80mW 473nm laser. The 450nm is the brightest of the three lasers. 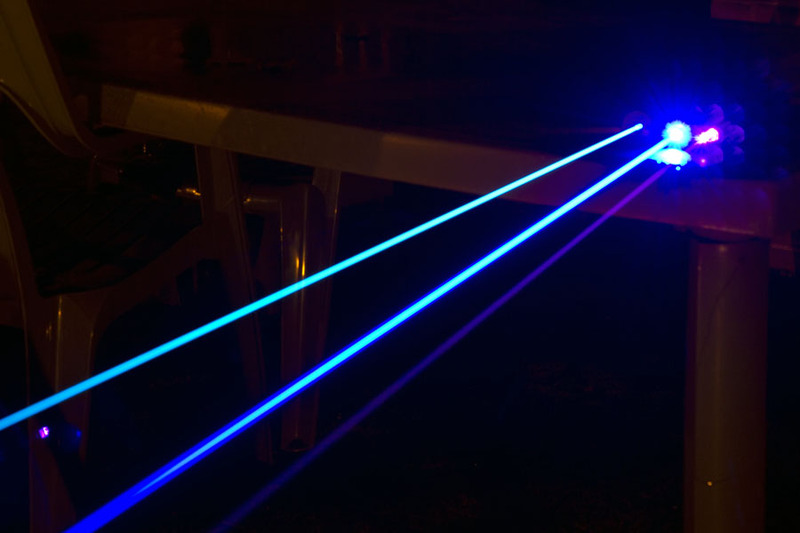 The 405nm laser is the darkest despite the 400mW output.